Have you stopped and taken stock of your own personal culture? So I thought this article was kind of interesting. 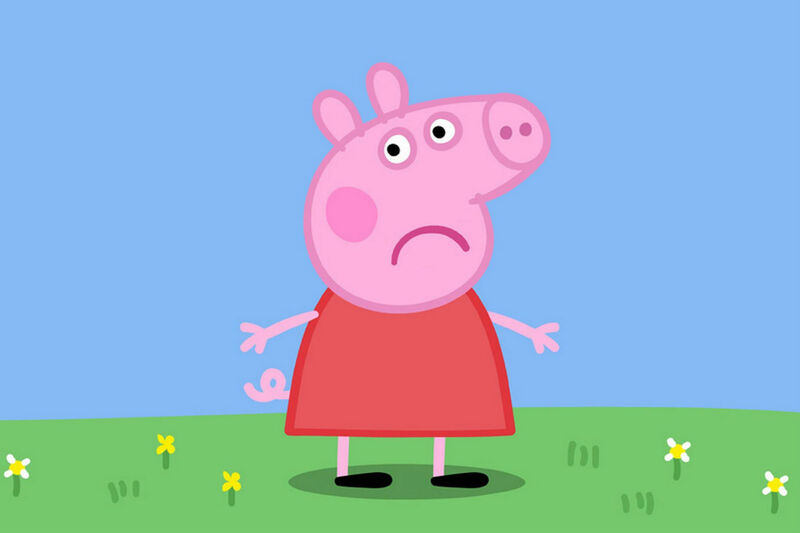 China has banned Peppa Pig. Peppa Pig has been one of the best selling children’s books in China in recent years. But now Peppa, along with a number of other foreign titles, is being banned. Peppa does have some counter-revolutionary tendencies, and that episode where she expresses solidarity with Trotsky probably was a mistake in hindsight, but an outright ban is a bit harsh isn’t it? And while we might think China’s approach is a bit heavy, I think we can see where they’re coming from. Who we are as people is shaped early. Our childhood makes us the people we are, and the ideas we’re exposed to when we’re young can have a lasting influence. That’s true the whole world over. A friend of mind has two kids, aged 4 and 6. She confessed to me the other day that she really has no idea what ideas they’re consuming. Since she got a Netflix account, the kids have access to hundreds of kids’ titles. But are they a good influence? She has no idea. She tries to keep up with it, but she can’t sit down and watch every episode of every series. She can barely keep track of the options. And since the kids learnt how to navigate their own way around the ipad, it’s even harder to keep tabs on what they’re watching. And she’d like to have more control, but in the end, the Netflix editorial board has the responsibility of culturally indoctrinating her children. Now let me ask you a question. What was your cultural indoctrination? We tend to think that this is a problem for the young, because the cultural influences are so coarse and powerful and obvious. Disney releases “Frozen” and suddenly the phenomenon is everywhere. It’s easy to pick it out from the cultural tapestry of the times. But we all had an indoctrination of one sort or another. We are cultural animals. We come into the world as blank slates, eager to learn about how the social world works. We watch, we learn, we mimic. In time, we don’t think anything of it. It is “just how things are done”. We live in culture the way we live in air – it goes unnoticed. Often, it’s only when you travel that you realise that some of the things you do are uniquely Australian. That some of our beliefs and values aren’t universal, but are specific to the time and place where we grew up. We all have our Peppa Pigs. However, the great thing about this is that culture is malleable. With a bit of work, you can change your beliefs – you can change your worldviews, and change the way you relate to money or success or relationships or whatever. In fact, you should welcome this as the liberating fact that it is. Nothing is pre-destined. You can be whatever you want. You could have the passion of the South Americans, the rigour and precision of the Germans, the sunny countenance of the Brits. And in many ways, this is where the work starts. I can give you all the techniques and strategies in the world, but if you’re stuck in a culture of poverty and self-denial, then it’s never going to help. Now if I could go back and replace Peppa Pig (or Astroboy, or whatever it is you were watching as a kid), with something like “Richest Man in Babylon” I would. It’d be great to have access to you as a kid. You were more malleable then. But you’re not a lost cause. You just need to work a little harder. And in many ways, the tricky thing is seeing what your own personal culture is. And just as travel is the best way to get perspective on your national culture, exposure to other individuals really gives you perspective on your personal culture. And this is one of the great things about the I Love Real Estate Community. We’ve worked really hard to create an optimistic, expansive, driven, passionate and supportive culture. It wasn’t an accident. (And I’m looking to infect as many people as possible). So come and let the ILRE community be your own personal Great China Central Administration for Indoctrination of Youth for Glorious Culture. It’s your culture. It’s your choice. Have you had to recalibrate your own culture? How did you do it?